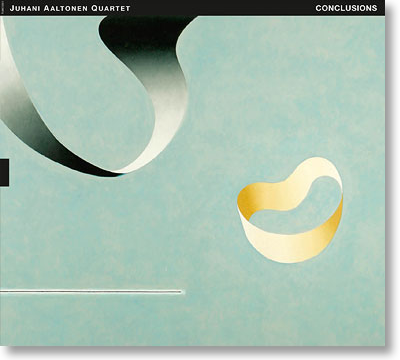 A huge figure on the Finnish jazz scene, Juhani Aaltonen’s international exposure recently has been via his collaborations with other Scandinavians – Edward Vesala, Henrik Otto Donner, Arild Andersen – and sessions with Thad Jones and Mel Lewis. Although there have been plenty of recordings as leader, their distribution has been patchy at best. Finnish label, TUM Records was established in 2003 with the initial aim of releasing Aaltonen’s music. This is the seventh album he has recorded for them and the third as leader. Aaltonen’s primary love is improvised music and Coltrane’s visits to Helsinki in the early 60s were an early inspiration. It’s easy to hear it: both Agape and Consolation, for example are reminiscent of A Love Supreme in places. With such inspirations the lazy comparison would be to Coltrane’s classic quartet, and yet… although they sound quite different (looser? mellower? older?) there is the same sense of connection between four musicians for whom the improvisation is at the service of the music. Iro Haarla has played with a variety of European jazzers and has gained renown for her composing, with whole concerts dedicated to her music. Ulf Krokfors has been a longstanding collaborator of both Aaltonen and Haarla, has featured in various lineups from big bands to prog-jazz trios and currently leads the Ulf Krokfors Orkester. Reino Laine played alongside Aaltonen in early 60s Helsinki and has enjoyed an award-winning career (as well as a stint in the Finnish Parliament). The album title might hint at farewell but rather than an ending, this is a summation of a 50-year career so far. From the natural romance and layered balance of Shimmer of Fallen Stars to the delicate flute of Reflections to the Moorish lines of Ronda, this is a man still doing his best work.